Time Warp Mode engaged! 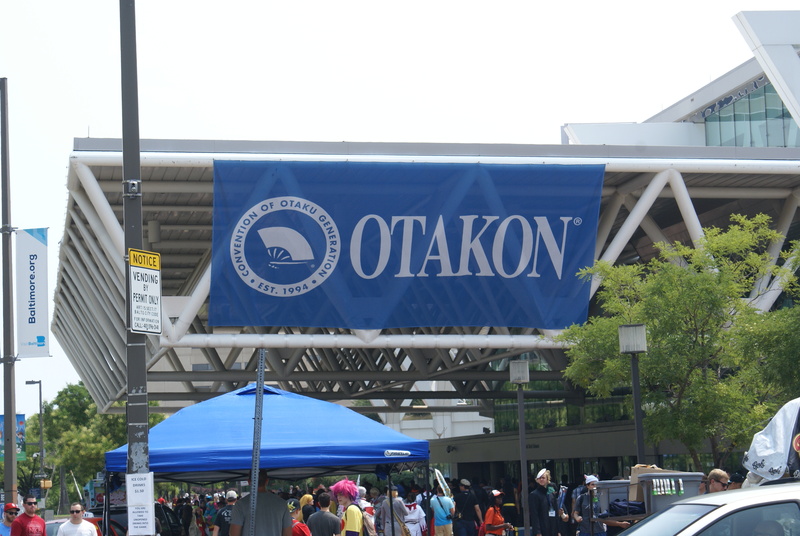 Monday, August 11, 2014 – We’ve just returned from an exciting weekend at Otakon! 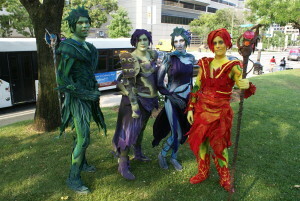 This annual gathering of anime fans takes place in Baltimore, MD at the Baltimore Convention Center, First Mariner Arena and various hotels in the downtown area. The con, which is in its 21st year and entirely volunteer run, attracts over 30,000 attendees from around the world. Guests include a variety of anime voice performers and production professionals. 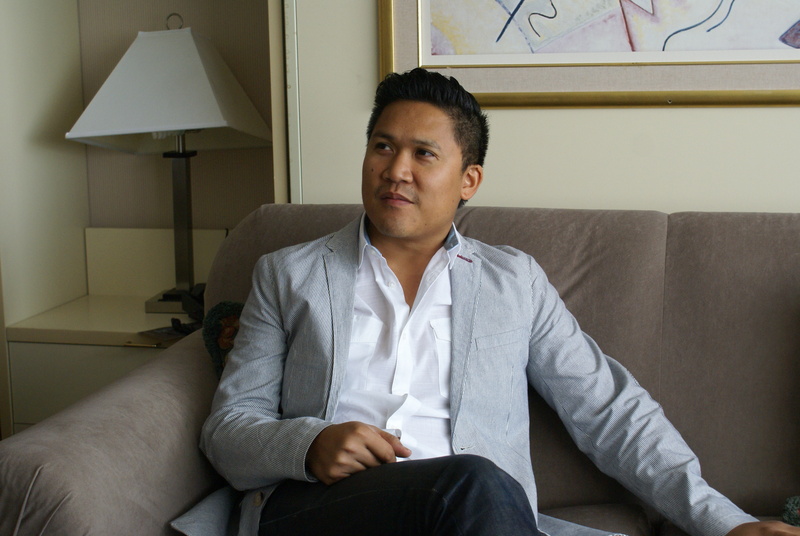 Among the interviews we snagged were Tony Oliver, Dante Basco, Wendee Lee and Shinichiro Kashiwada. An interpreter was needed for the interview with Mr. Kashiwada. 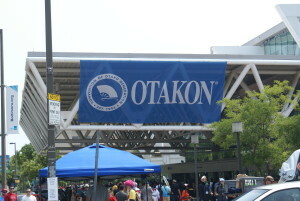 Look for all to be included as part of an upcoming Otakon special episode. If you’ve never been to an anime convention before this is the one you want to attend. It is considerably larger than the other cons held in the DC/VA/MD area and the programming is outstanding. And you’d be hard pressed to find a wider array of outstanding costuming anywhere. 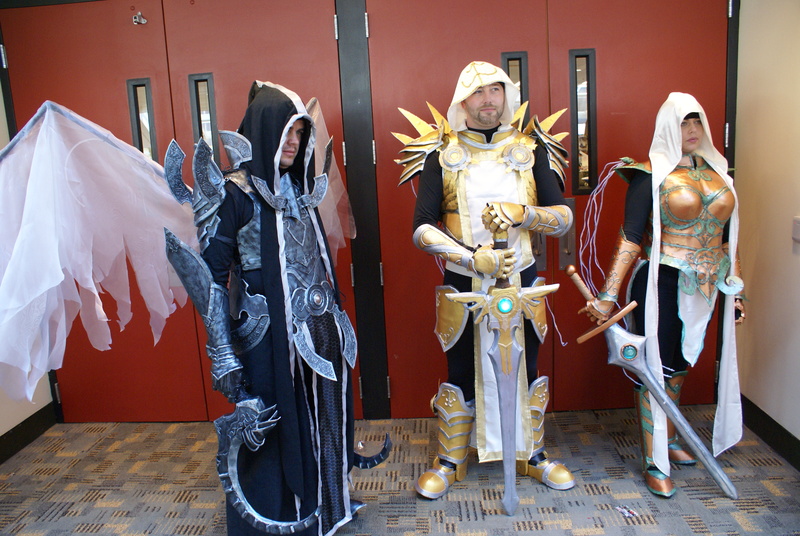 The con has actually outgrown the Baltimore Convention Center and a variety of events are held at adjacent hotels and First Mariner Arena. But the show has made arrangements to relocate to Washington, DC in 2017. The Walter E. Washington Convention Center is large enough to accommodate everything under one roof. Washingtonians rejoice!